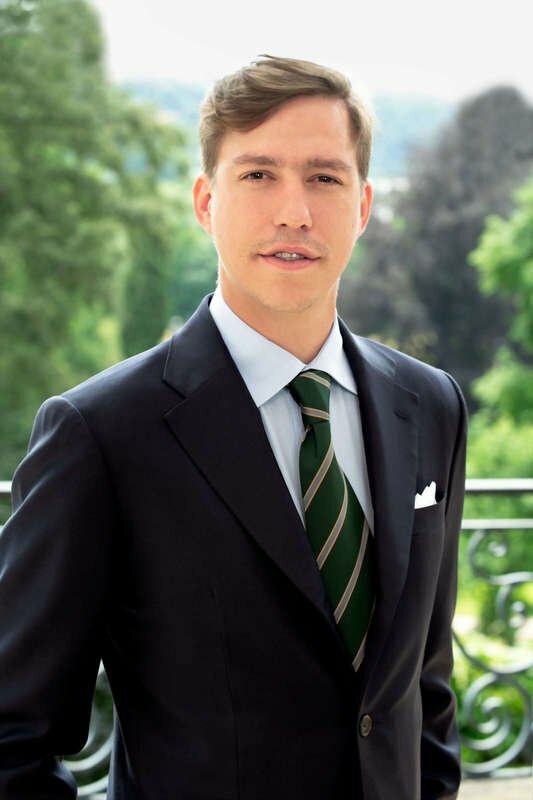 Grand Duke Henri and Grand Duchess Maria Teresa's third son, Prince Louis, was born on 3 August 1986 at the the Grand Duchess Charlotte Maternity Hospital in Luxembourg City. 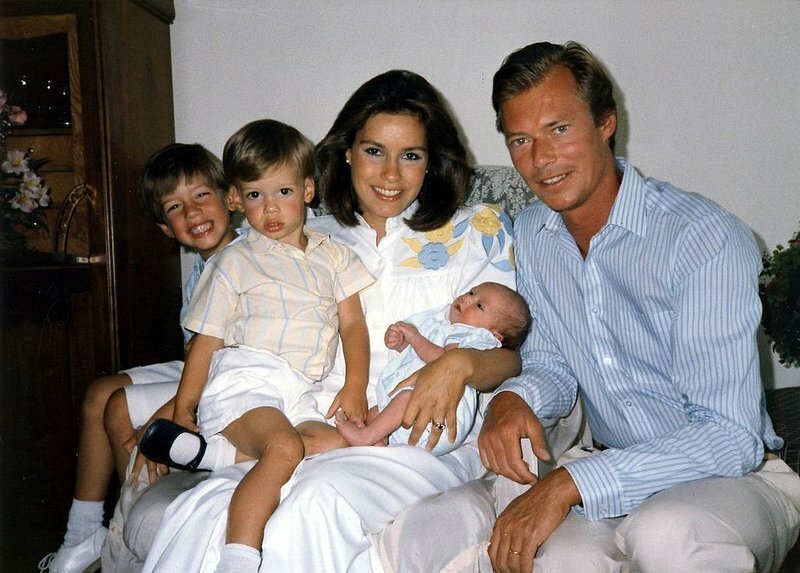 Prince Louis has two older brothers, Hereditary Grand Duke Guillaume (1981) and Prince Félix (1984), as well as a younger brother and sister, Princess Alexandra (1991) and Prince Sébastien (1992). 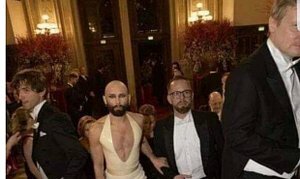 He and his four siblings grew up at Fischbach Castle in central Luxembourg. Like his older brothers, he attended primary school in the nearby town of Lorentzweiler. 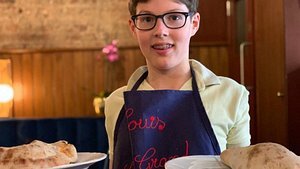 Prince Louis began his secondary education at the American School of Luxembourg before moving to the Swiss boarding school Collège Beau Soleil from which he graduated in 2005. During his time at Beau Soleil in Switzerland, Prince Louis developed an interest in humanitarian work and took part in several projects led by an NGO working with his school. He travelled to Mumbai, India, where he taught English to children in need. Deeply moved by his experiences in India, Prince Louis decided to serve a year-long internship with the Red Cross in Geneva upon his return to Switzerland. After working for the Red Cross for a year, he moved to the US where he earned a private pilot certificate and underwent training in Aeronautics and Aeronautical Management. 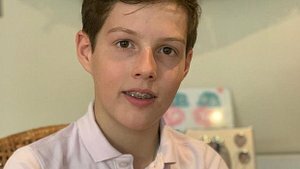 Prince Louis has struggled with dyslexia all his life, which is why he is very involved in raising awareness on the matter and helping people affected by the reading disorder. 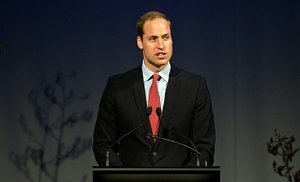 In early 2016, Prince Louis gave a press conference in which he openly addressed the issue: "It is a great relief to be able to talk about it, because it it a problem I have been struggling with all my life". He told the press that he was lucky to have his wife to help him proofread his texts. He was very frank about his struggles, saying "I did not overcome dyslexia, I accepted it." Prince Louis is fluent in Luxembourgish, French, English, and German and has extensive knowledge of Spanish through his Cuban-born mother, Grand Duchess Maria Teresa. 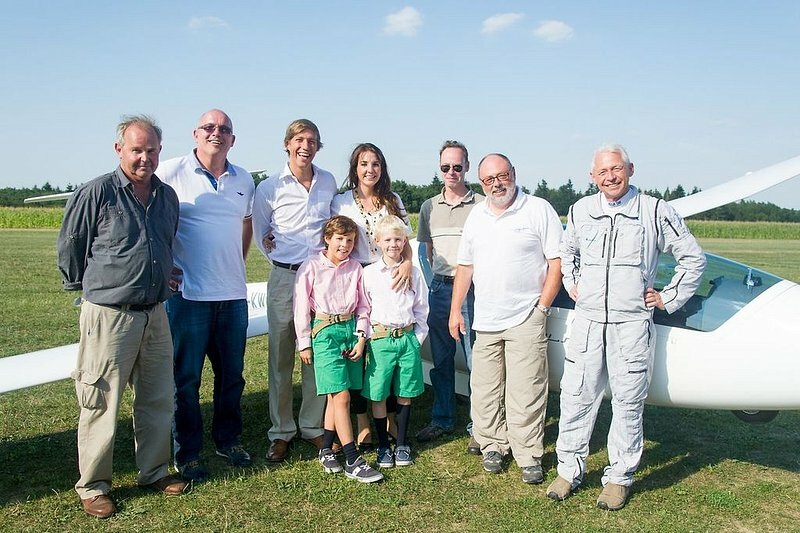 Prince Louis has been a patron of the Luxembourg aeronautics association, the Luxembourg table tennis association and the martial arts association. He enjoys outdoor sports, especially alpine and equestrian sports. 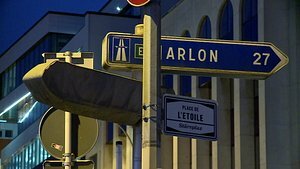 The Prince currently lives in Paris, where he works as a directional consultant at Laurent Meeschaert Conseil. He offers consulting services to companies and individuals alike and also works in conflict management. Prince Louis met his future wife Tessy Antony in 2004. She was a Corporal of the Luxembourgish Army at the time and had been deployed to a UN peacekeeping mission to Kosovo as the only woman in her division. She met Prince Louis, also a member of the Luxembourgish Army, when he visited troops in Yugoslavia. 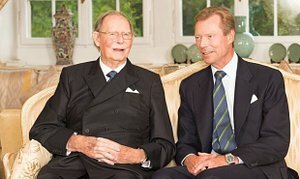 Their relationship was revealed to an unsuspecting Luxembourgish public when the Grand Ducal Court announced in September 2005 that Grand Duke Henri and Grand Duchess Maria Teresa were looking forward to welcoming their first grandchild. 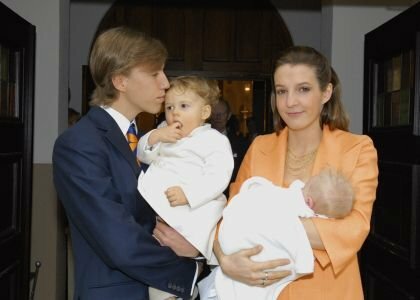 Prince Louis was only 19 when his 20-year-old girlfriend Tessy Antony gave birth to their first child Gabriel Michael Louis Ronny de Nassau on 12 March 2006 at the Clinique des Grangettes, a private hospital in Geneva, Switzerland. A young Prince having a child out of wedlock with a "commoner" was regarded as quite scandalous in some circles. The Luxembourgish public seemed to disagree with that assessment: 56% of people polled in a 2005 TNS/Ilres study stated that the matter positively influenced their opinion of the Grand Ducal family. 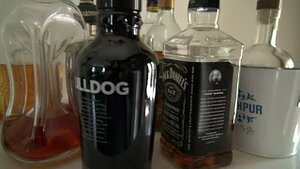 The young couple married about six months after the birth of their first son in an intimate ceremony in Gilsdorf, a small village in north-east Luxembourg. Prince Louis relinquished his rights of succession along with those of his descendants on the day of his wedding to Tessy on 26 September 2006. While Prince Louis kept his royal title, his wife and child took the surname "de Nassau". The couple's second son Noah Étienne Guillaume Gabriel Matthias Xavier de Nassau was born on 21 September 2007, almost exactly a year after his parent's wedding. Little Noah was baptised at the same church his parents were married in the year before. On the Luxembourgish National Day on 23 June 2009, Tessy Antony formally accepted into the Grand Ducal family when she was given the official title of "Princess of Luxembourg", along with the style "Her Royal Highness". 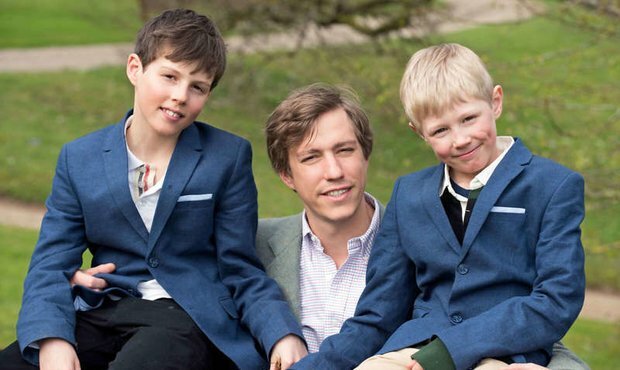 The couple's two sons were also given royal styles and titles and are since known as Prince Gabriel and Prince Noah. 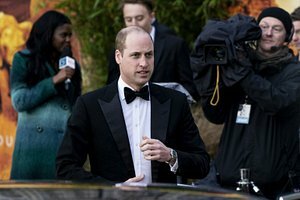 The family lived in the United States for two years before settling down in London where both Prince Louis and Princess Tessy attended university. They were also often in Luxembourg to take part in royal functions and engagements. 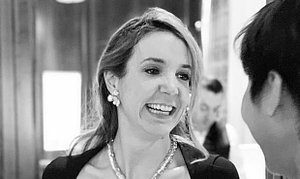 After 10 years of marriage and two children together, the Grand Ducal Court regretfully announced on 18 January 2017 that Prince Louis and Princess Tessy were planning to divorce - an unusual practice in royal circles. 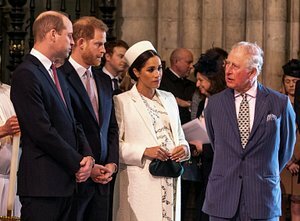 Nevertheless, divorce isn't completely unprecedented amongst Europe's royalty: Prince Charles and his brother Prince Andrew, Duke of York, and Princess Stéphanie of Monaco all famously divorced their spouses. The divorce was granted on 17 February 2017 at a divorce court in London. 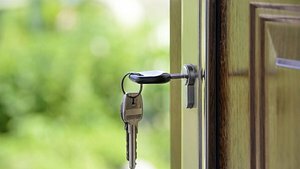 While the former couple disagreed on financial issues during their divorce proceedings, they were largely amicable. Prince Louis told the presiding divorce court judge that his wife had served Luxembourg's royal family well and had undertaken her role "with grace".